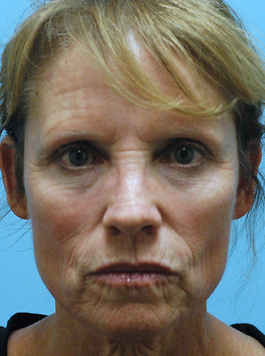 This Virginia woman in her late forties was bothered by the sagging and tired look she has developed. 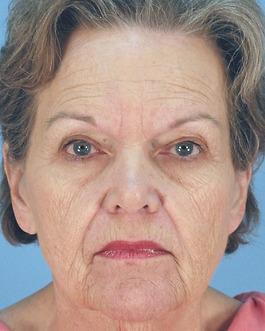 During her consultation with Dr. Hubbard, she expressed her unhappiness with the creases around her mouth and the sagging of her neck. 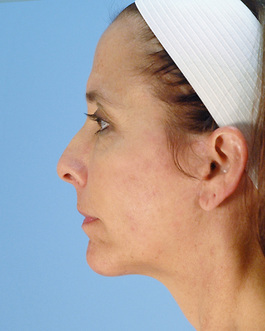 Dr. Hubbard discussed with her the option of a neck lift alone, which at her age, could nicely address the loose, sagging platysma muscle beneath her chin. 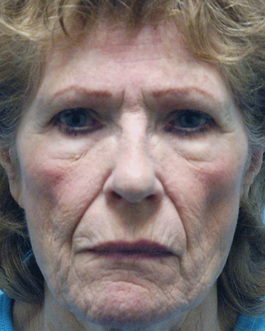 He also mentioned the opportunity to soften the furrows and creases around her mouth with a facelift. 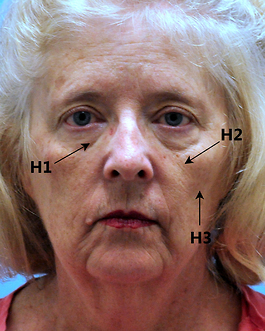 Her own fat could be used for further improvement to the furrows and creases, as these are not just from sag, but also a gaunting or sinking in which is part of the aging process. 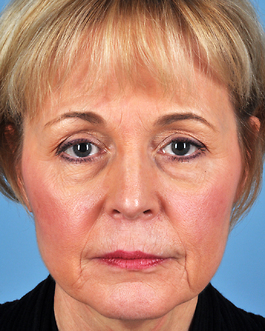 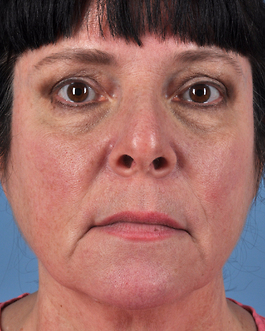 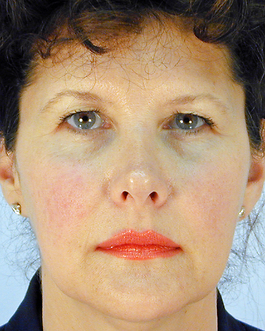 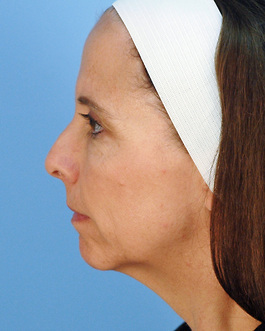 Dr. Hubbard discussed with her the choice of a chin implant that would benefit her from both side and front views. 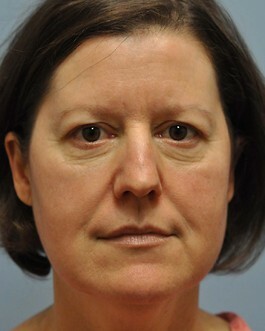 In front view it augments the hollow in front of where jowls would be and puts the chin width more in proportion to the width between the cheek bones. 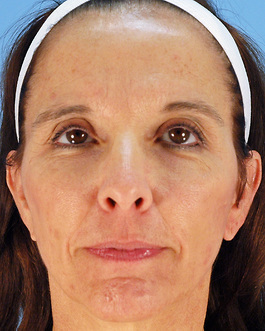 On side view, a chin implant would better match her lower face projection with that of the middle and upper face. 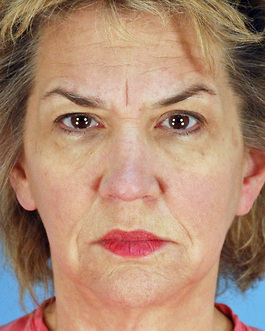 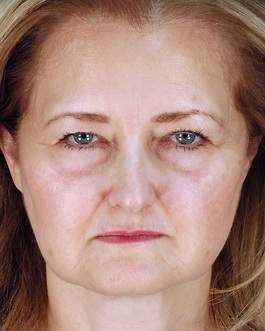 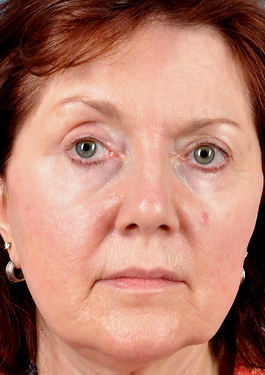 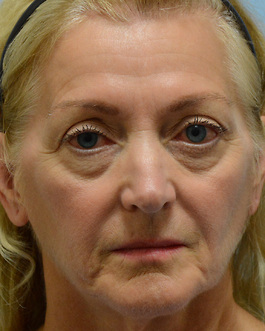 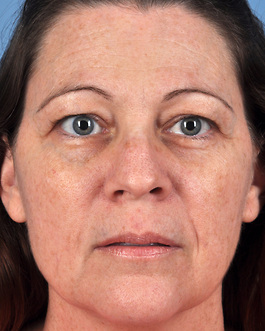 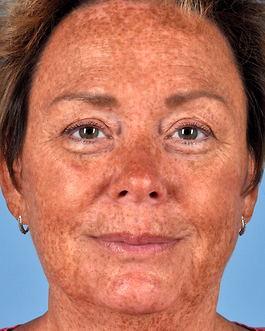 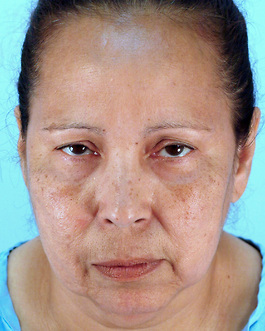 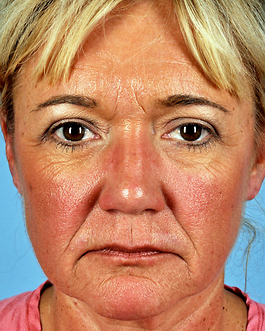 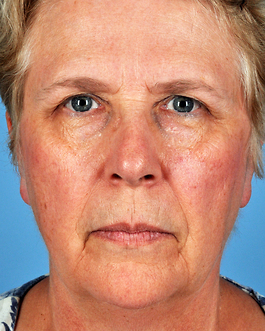 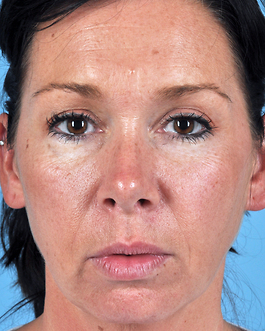 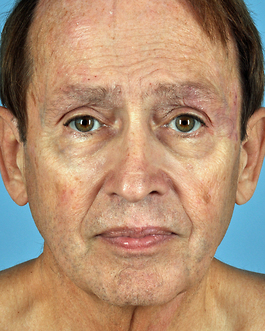 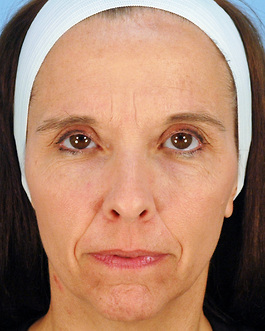 Her post-operative photos reveal that she is quite pleased that she chose all these techniques to address her concerns. 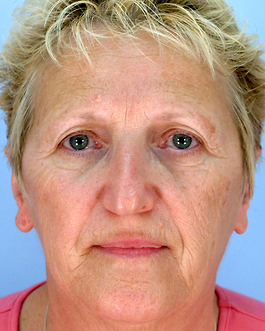 She also chose fat grafts to fill the hollows beneath her eyes. 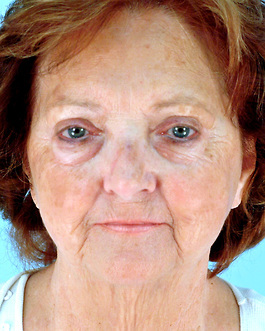 She now feels that her refreshed facial appearance is a true indicator of her energy level and how she feels in life.